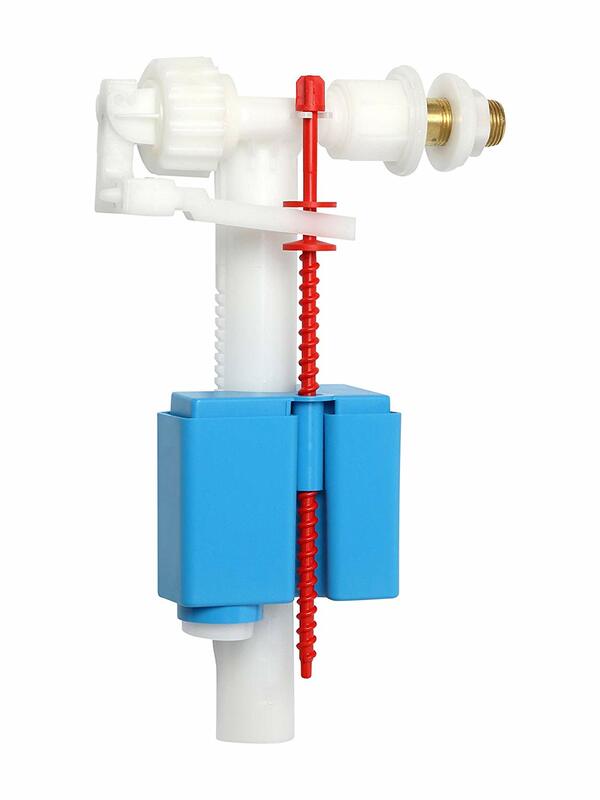 What is the name of the red plactic screw in the picture? It's from a toilets flushing mechanism. 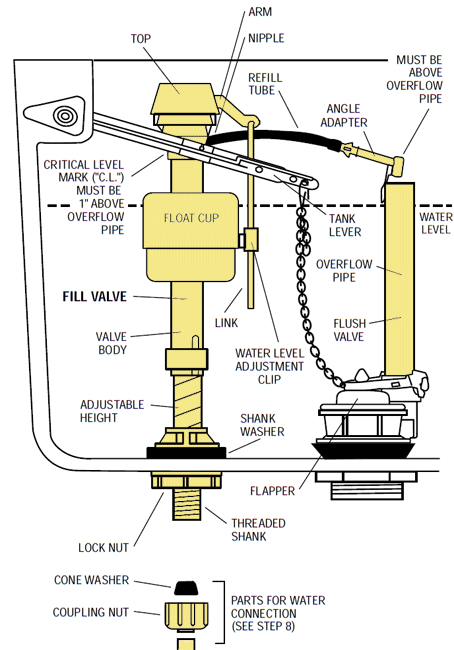 I would call it the float height adjustment screw, possibly tank water level height adjustment screw. Older designed that had a more-or-less horizontal mechanism, that utilized a ball for a float, the connecting device was often called the float rod. Here they call it a "link", but yours also performs the adjustment function. Not the answer you're looking for? Browse other questions tagged toilet screws or ask your own question. Why does my toilet not leave enough water in the bowl after flushing? How can I determine why my toilets are not flushing right? What flushmate unit will fit my kohler toilets?